All substances go through phase transitions with rising temperatures. As they heat up, most materials start as solids and melt into liquids. With more heat, they boil into gases. This happens because the energy of heat vibrations in molecules overpowers the forces that hold them together. In a solid, forces between molecules keep them in rigid structures. These forces weaken greatly in liquids and gases, allowing a substance to flow and evaporate. Scientists call solids, liquids and gases the phases of a substance. 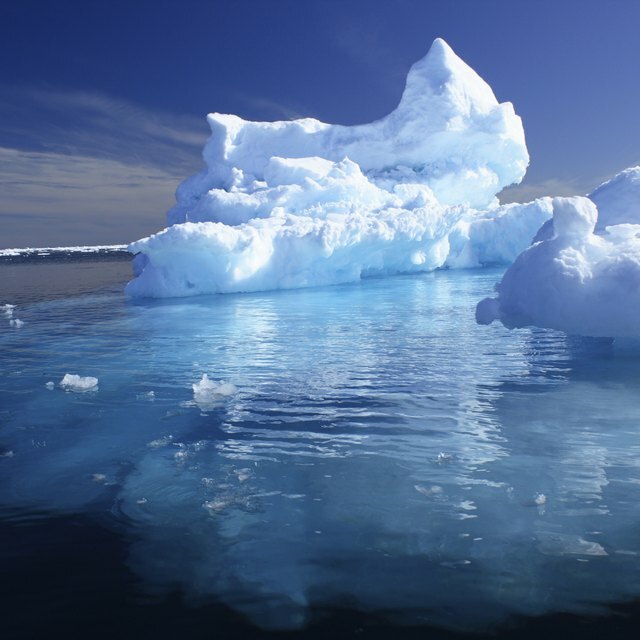 When it melts, freezes, boils or condenses, it undergoes a phase transition. Though many substances have similar phase transition behaviors, each has a unique set of temperatures and pressures that determine at what point it melts or boils. For example, carbon dioxide gas freezes directly into dry ice at minus 109 degrees Fahrenheit at normal pressures. It has a liquid phase only at high pressures. As you heat up a solid, its temperature rises steadily. Every degree of temperature rise takes about the same amount of heat energy. Once it reaches its melting point, however, the temperature remains steady until all of the substance melts. The molecules take extra energy, called the heat of fusion, to liquefy. All the energy at this point goes into making the substance a liquid. The same thing happens for boiling liquids. They require energy, called the heat of vaporization, to make the transition to gas. Once all of the substance makes the transition, more energy raises the temperature again. Forces between molecules, including the London dispersion force and hydrogen bonding, form crystals and other solid shapes when the temperatures are low enough. The strength of the forces determines the melting temperature. Substances with very weak forces melt at low temperatures; strong forces require high temperatures. If you apply enough heat energy, eventually all substances melt or boil. The same mechanisms that govern melting apply to boiling. The molecules in a liquid have weak forces holding them together. Heat causes them to vibrate strongly and fly away from the rest. In a boiling liquid, some molecules will have relatively low energies, most have an average range of energies and a few have energies high enough to escape the liquid entirely. With more heat, more molecules escape. In the gas phase, no molecules are bound to one another any more. Papiewski, John. "What Occurs When Matter Transitions Between a Solid, Liquid & Gas?" Sciencing, https://sciencing.com/occurs-between-solid-liquid-gas-8425676.html. 25 April 2017. 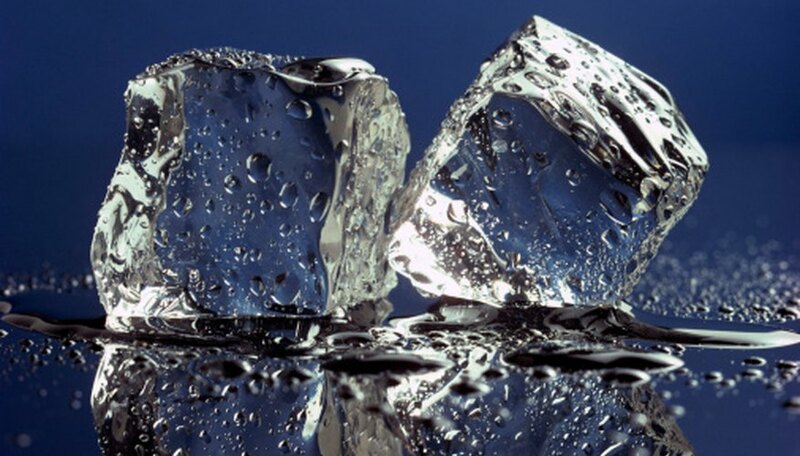 What Happens to the Temperature of Ice As it Melts?